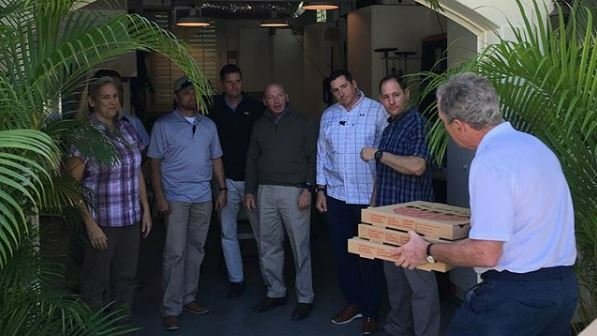 Former president George W Bush has turned his hand to pizza delivery to help staff left unpaid by a government shutdown. 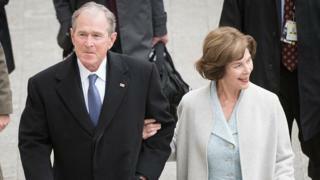 Posts on social media showed Mr Bush bringing the food to his Secret Service detail. “It’s time for leaders on both sides to put politics aside, come together, and end this shutdown,” Mr Bush wrote on Instagram. The shutdown has entered a fifth week and is the longest in US history. This includes about 6,000 Secret Service staff, around 85% of whom are reportedly still working through the shutdown. Mr Bush’s delivery comes after Speaker of the House Nancy Pelosi asked President Trump to delay the annual State of the Union speech on security grounds. The Secret Service was “hamstrung” by the lack of funding, Ms Pelosi wrote in a letter, arguing he should deliver the speech in writing given the huge security needs for the event. President Trump halted the House Speaker’s planned trip to Brussels and Afghanistan two days later, denying her the use of military aircraft. “It would be better if you were in Washington negotiating with me,” he wrote. 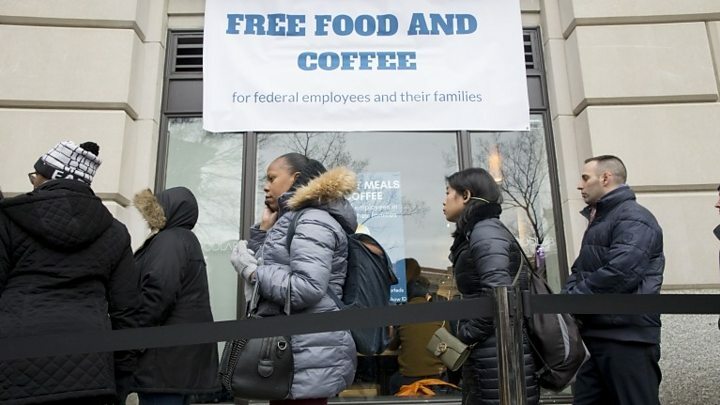 Former President Bush’s gesture comes after Canadian air traffic controllers sent their counterparts over the border hundreds of pizzas to help during the shutdown. President Trump meanwhile laid on a feast of more than 300 burgers at the White House, due to the lack of catering staff amid the shutdown.